For those of you living in Brazil and South America I thought I would let you know about my experience with booking a flight with Emirates, so that you if you decide to do so, you will not be as surprised as I was with their rather inconvenient policies! C and I are planning a trip to Singapore for Christmas. As you can imagine that is not exactly an easy or cheap destination from Brasilia! However, my brother lives in Abu Dhabi and I know that Emirates flies directly to Dubai from both Rio de Janeiro and São Paulo. So we thought we would fly with Emirates to Dubai, visit him for a few days and continue on with our journey from there. We will then fly back home to Brasilia separately, as I will stay on in Singapore longer and C has to come back and work (well someone has to right?). Rather straight forward I thought….oh how I was mistaken! Booking my ticket directly with Emirates was a nightmare. I had done my research online in regards to what the best routes would be from Brasilia. However as C and I were flying back at different times, I wanted to talk to someone in Emirates to help me book the tickets to ensure C and I were on the same flight outbound, as well as help me find a good price. The prices I saw online where reasonable if we were to go directly to Singapore, but when I wanted to include a stop-over for a few days in Dubai, it doubled! So I called the Emirates Rio office, but was immediately directed to a call centre (judging by the ladies accent) in the Philippines. The call did not start well, when she told me that there was no such place as Brasilia!! After struggling through a 40 minute call, where she kept giving me the wrong information, giving me wrong quotes and neither of us understanding each other, I decided that I would call again. This time I was directed to a call centre in the US. After explaining what I wanted – the woman essentially told me to do it myself and there was no point in her helping me! I have to admit I was lost for words, and after having spent 40 minutes with other lady in the Philippines I just gave up! In the end, I asked my brother if he could talk to someone in Emirates in Dubai to see if they could help us. What do you know? The next day after my big brother made a few phone calls he had managed to find the perfect flight for us, half the price as quoted to me online and we were all happy! Time to pay for the tickets! Now armed with my reservation codes for my flights, I phoned up Emirates in Rio again, again I was transferred to a call centre, this time in India. When I wanted to pay for my tickets, I was told I was unable to do so over the phone or online. Apparently it is Emirates policy that if you are buying a ticket to or from South America, you have to do so in person at an Emirates office!! This is a bit of an issue for me, considering Emirates does not have an office in Brasilia! I was then transferred from various call centres around the world (or at least that is what it felt like) and the best advice I got, was from another guy in India who asked me if I had a friend that could go to an Emirates office to pay for my tickets for me! When I said that wasn’t an option I was transferred to a very helpful Emirates employee in the US, who was trying to figure out how she could help me, and in the end she put me in touch with the Rio office (the same office I had been trying to call for 48 hours). I was given a glimmer of hope here. The Rio office, said that I could fill out a ‘credit card form’, email them the information and they would be able to process the payment! HOWEVER, when she found out, that I do not have a Brazilian credit card, this option was no longer available. It is Brazil’s policy that they cannot accept international credit cards unless in person! I really make a point of not complaining on The Travelling Chopsticks, as I want this forum to be positive and for inspiration, but I felt that this was rather important information to share. Be prepared that if you would like to fly Emirates in South America, that you will have to go to the office in person to buy your tickets, even if it means you have to fly to get there! 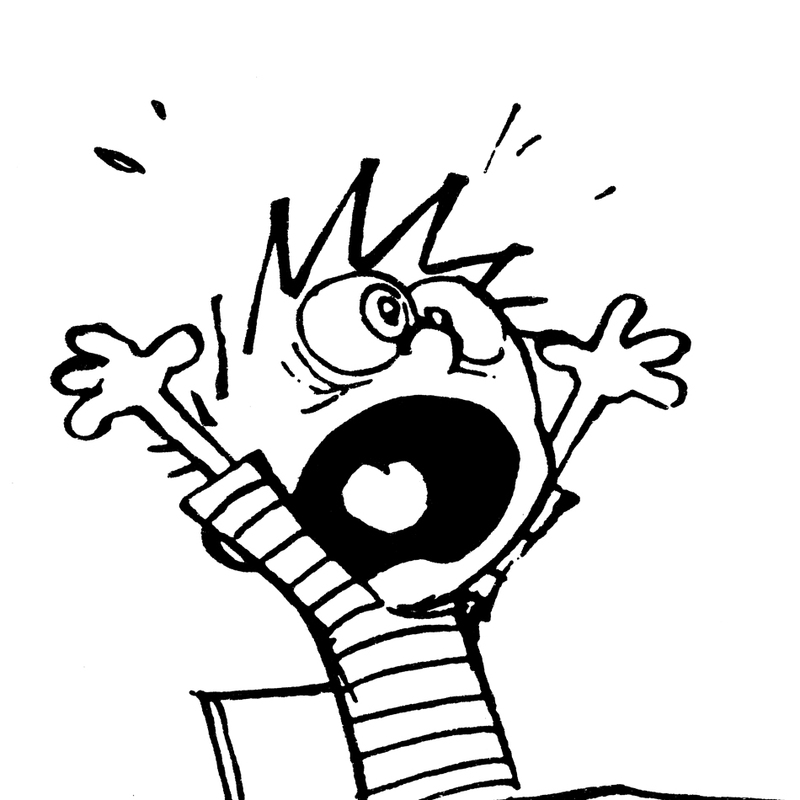 I think Calvin pretty much sums up my feelings over this whole situation! I think you should forward your blog to the head office of Emirates, they should know this goes on, or perhaps they do? Glad you’re coming to Singapore! There is no such place as Brasilia, loooool. I’m a Filipino and that did made me laugh, sorry about that. :p Anyhow, the policies of most of the airlines here in the Middle East are quite strict when it comes to credit card payments. It is to protect the cardholders and of course the companies from fraud, it is very rampant here. I do agree with Caroline, you should probably contact Emirates’ Customer Affairs about this issue. Enjoy your time in Singapore and Dubai. No worries, it wasn’t easy – the things you went through and I would’ve been very frustrated if it happened to me. However, I have somehow accepted those strict credit card policies as I have lived in the region for a very long time now. I hope they (emirates) give you something as compensation, it’s a very long shot but an upgrade to business class would be very nice. Lol.